VocaParty: Are You Ready For 39? It has been another year passed since last time it been held in Tokyo, and now here we are again, to celebrate one of the important Vocaloid event annually. This year it would be special as we will not only be having one, but two concert for two days straight. So people, ARE YOU READY FOR MIKUPA and 39's GIVING DAY 2012?!! e whatever best for you. Oh, JST is Japan Time anyway. 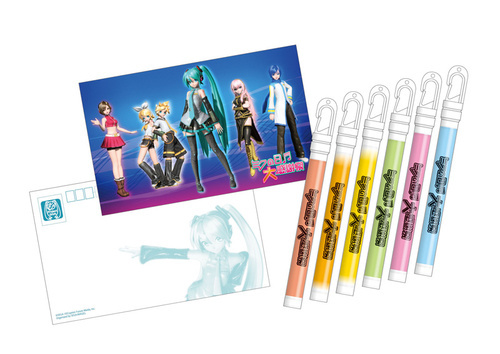 SEGA also has try to keep on the hype by releasing the preview of merchandises that are going to be sold on both days. While we could not be there to horde the goodies, at least our eyes would be satisfied and some of the merchandise give some interesting premonition. So do you get it? The premonition I meant. 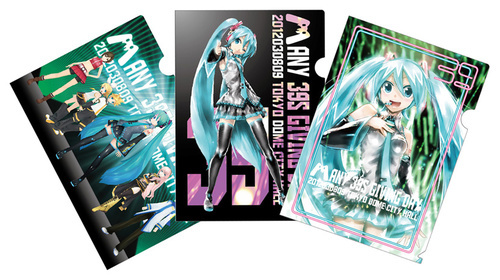 I bet my dollars that MEIKO and KAITO will be finally be performing on this concert. Its the last concert for 39's Team and SEGA thus I do believe they going to plan something extravaganza. I dont know, perhaps Alice in Musicland?? Would be awesome if it will be like that. More goods can be viewed here.